Have you ever had a food that takes you back to a fond memory? To a tradition? To a family? 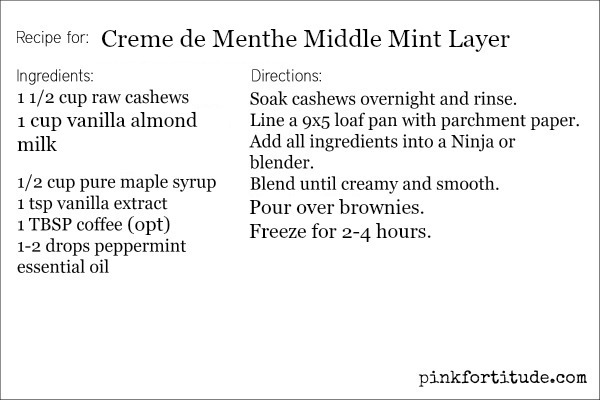 Creme de menthe brownies are one of those foods for me. For those of you who want to eat healthier, or need a version that is gluten-free, vegan, and/or paleo, these brownies will be a proven winner for your holiday entertaining. For years, my family’s Christmas Eve tradition was as follows – attend Christmas Eve service at church, and then go over to our friend’s house for food and drinks and fellowship. They always had fancy food, like shrimp! (I was a kid… shrimp was fancy ok). 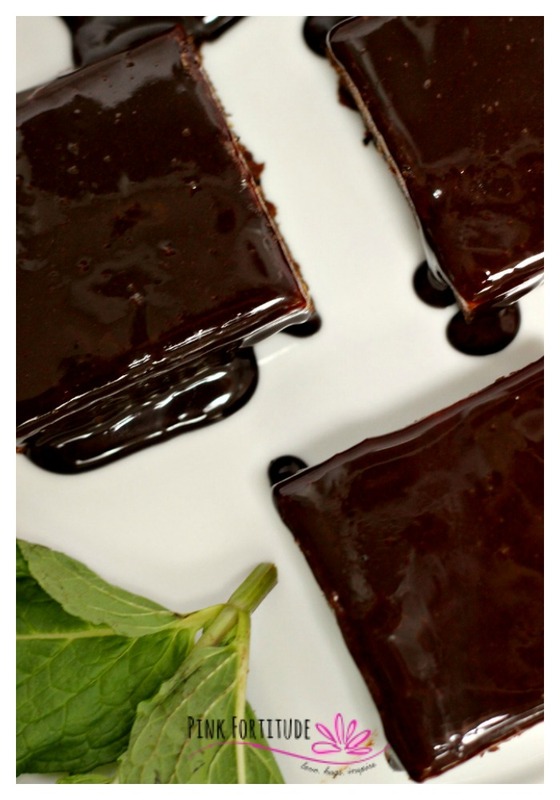 And… creme de menthe brownies. It was a once a year treat that I looked forward to. It was like Christmas wasn’t allowed to happen until I ate a few of them! They are so decadent. And as I grew older, I realized that they take a long time to make. Which made them an even more special treat. 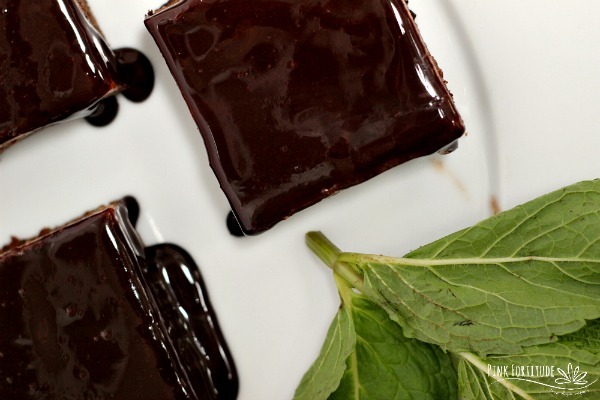 Many recipes use green food coloring for the middle layer. 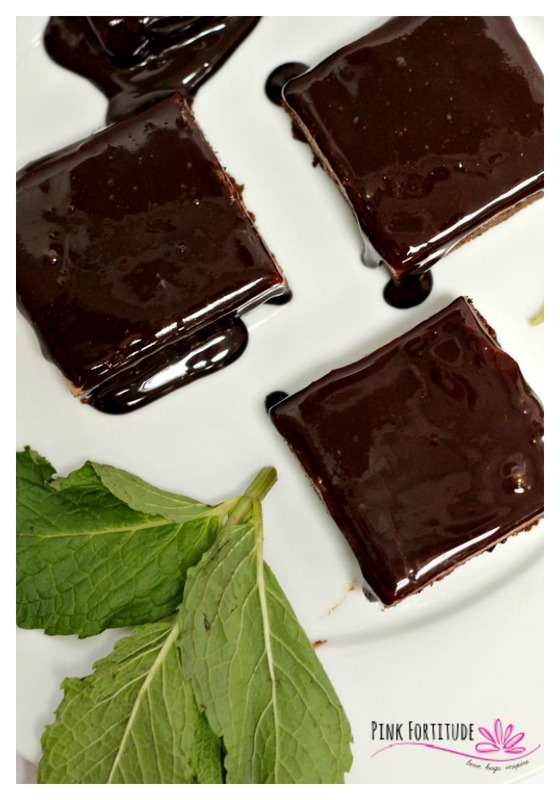 I know there are a couple of all-natural food coloring options, but I opt to keep the mint layer sans food dye. 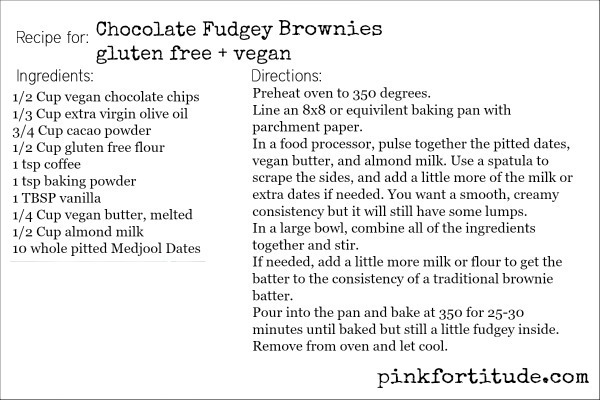 The majority of the ingredients for this recipe are purchased at Thrive Market. Make sure your Peppermint Essential Oil is GRAS (generally regarded as safe.) You also want to use just one or two drops at the most – it’s extremely strong and concentrated! You can keep them in the fridge or freezer. I prefer the freezer. I could eat the entire batch in one sitting they are that good! So here’s where it gets interesting. I’m allergic to coconut and can’t use coconut oil to bake with. For the top layer, I used Earth Balance vegan butter as a substitute but it turned out a bit runny. If you wish to use coconut oil instead of vegan butter, use 1/3 cup. You should be able to eat them with your hands. But if you use the vegan butter, it’s best to enjoy them with a fork. Yes, it is a lot of work, there is no denying it. It doesn’t take long for each section to come together, but it’s not one of those desserts that you can just whip together. But it is sooooo worth it for a seasonal treat! Love, hugs, and enjoying memories of Christmas past. Oh good lord. These look delicious. I am pinning them to try! Thank you! Great photos as well! Oh my gosh these make me wish I could reach into my computer and get one. Just the sound of them makes me think of the wonderful chocolate mint smell. Very interesting that these brownies have the dates in them. 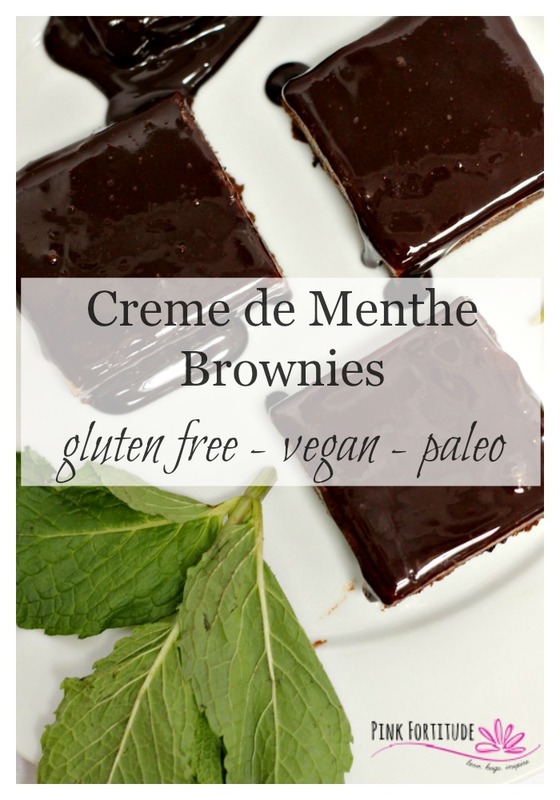 I am not Paleo or gluten free inclined but I have to say that these look good! Thanks for sharing and Happy Holidays! It is good though that you are able to find alternative recipes and ways to adapt your menu to what is best for you! I love the use of dates for sweetener. I want to use these more for sweetening treats. Those look amazing! 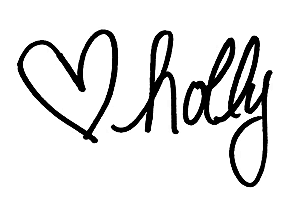 Thanks for sharing them with us at the Funtastic Friday Blog Hop! Hope to see you there again soon! Thank you SO much for sharing this wonderful recipe! 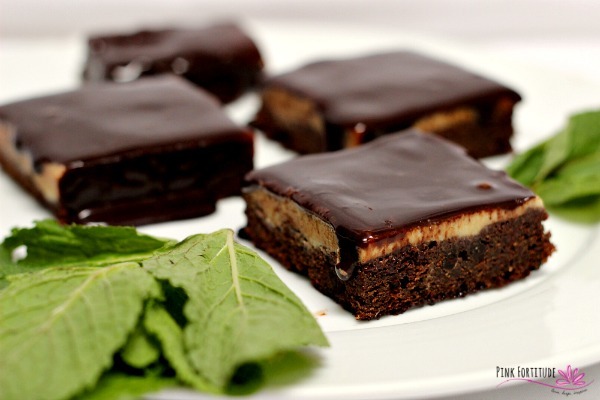 As a vegan I am constantly looking for healthy brownie recipes and this would be a royal indulgence for this brownie lover!! These look amazing! I am going to have to try them.